The GENOS M560-V achieves reduced thermal growth and improved performance and resists thermal deformation with a solid, thermally-stable construction. 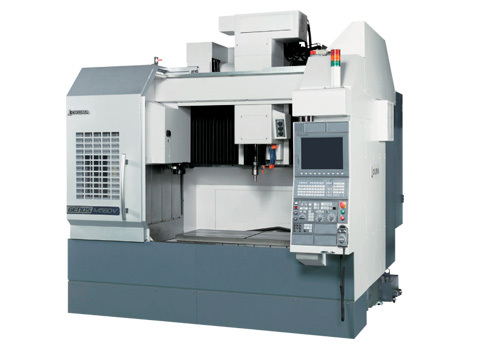 This machine handles a variety of materials like titanium or aluminum without losing finish quality or productivity. It provides "Affordable Excellence" with its Thermo-Friendly design concept and open-architecture, easy-to-use OSP-P control.